A New Era For Jazzland? Thankful For... New Park Additions! Stinger At Dorney Park Complete! 'Tis The Season For Brickmas! What's New For Morey's in 2012? A Manta Milestone: Track is in Place! 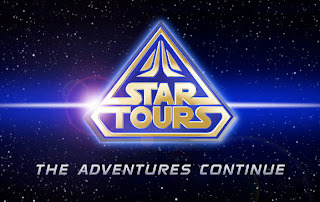 Guests visiting Tokyo Disneyland next year will find that Star Tours will be closed from April 2, 2012 until spring of 2013 while the attraction in transformed into Star Tours: The Adventures Continue. The totally revamped Star Tours attraction debuted at both Disneyland and Disney's Hollywood Studios this year, and will now be added to Tokyo Disneyland. The ride features scenes that are randomly selected so that each ride is different - a total of 50 different experiences are available due to these combinations. The new attraction will also feature 3-D images that "allow guests to feel like they've truly entered the world of the Star Wars film series." Star Tours: The Adventures Continue will represent an investment of around 7 billion yen, or $90 million when it opens in 2013 at Tokyo Disneyland.